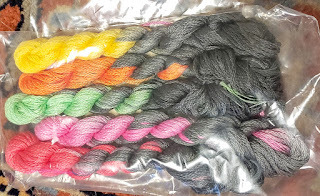 Cotton subscription threads from Jodyri designs in the UK. I'm not sure about all that gray. I'll have to figure something out for them.